When I saw recently that Bethany House was offering The Girl in the Gatehouse by Julie Klassen for review, I was happy to see that it was a Jane Austen inspired story! That meant it would fit perfectly into my reading list for the Jane Austen 2011 Reading Challenge, not to mention it looked like an enjoyable read. I quickly downloaded it to my brand-new Kindle and dove in. I wasn’t disappointed! The Girl in the Gatehouse tells the story of Mariah Aubrey, a young woman who is sent in disgrace to live in an abandoned gatehouse on the estate of a distant relative. Ms. Aubrey and her companion, Miss Dixon (her former governess), are forced to set up a household in the long-unused gatehouse. Ms. Aubrey is secretly a writer. She publishes her books under a pseudonym, as many ladies in that day did, fearing it would bring even more disgrace on her, especially from her family, if her identity were discovered. She struggles with feelings of unworthiness because of the mistake she made that led to her exile. As the two ladies settle in at the gatehouse, they become acquainted with Captain Matthew Bryant, who has rented the estate for six months, and a friendship begins to develop. Captain Bryant is determined to prove himself to his disapproving father and to a certain lady who rejected him several years earlier because he is socially “beneath” her. There’s plenty of mystery too: an eccentric servant named Jeremiah Martin, a mysterious trunk left to Mariah by her aunt, plus several other intriguing questions. Why on earth was the gate locked and gatehouse abandoned in the first place? Why is a poorhouse located right across the road, so close to the estate, and who is the man who walks around on it’s roof at all hours of the night? I really enjoyed the book. Ms. Klassen does a great job of weaving multiple elements…mystery, romance, adventure, along with themes of worth, acceptance, and forgiveness…together into a wonderful tale. I really appreciated how she didn’t come right out and tell either Mariah or Matthew’s “back story” up front. Instead their backgrounds are revealed in bits and pieces throughout the book. This, along with the several threads of mystery about the gatehouse, poorhouse, and trunk, really kept my interest level high and kept me reading to figure out what was going on! The characters are well-developed and believable…I feel like I know them now! I especially enjoyed unusual Mr. Martin and the variety of characters who lived at the poorhouse: the Merryweather sisters, little Maggie, Lizzie, and of course Captain Prince! I loved the way all the various threads of the different characters’ pasts intertwined as the pieces fell into place throughout the story. The Girl in the Gatehouse was a touching, intriguing, and incredibly enjoyable read! This was my first Julie Klassen novel, and I’m looking forward to reading more of her titles now. 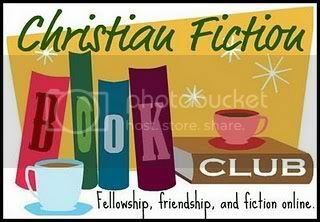 Shortly after I decided to read The Girl in the Gatehouse for my Jane Austen Challenge, I saw that it was the April pick for the Christian Fiction Book Club…so I decided to join in! I’ll briefly answer several of the discussion questions from the back of the book: #6, #7, and #9. Question #6: Did you find yourself growing fond of any character that you did not care for at the outset? which character was your favorite? Why? Absolutely…Jeremiah Martin. I didn’t care for him at all in the beginning: he was rude, strange, and of course he smelled funny! He came across as very haughty. As the story progressed, I found myself gradually softening toward him, first simply feeling sorry for him because he had nowhere to go once Aunt Fran died, but as time went on I began to like him more and more! I can’t go into too much detail without giving too much away for those who haven’t read the book yet, but I will say that I really enjoyed the way the author developed this particular character immensely! As for my favorite character, I don’t know that I can narrow it down to just one! I think I’d have to go with Jeremiah Martin or Miss Amy. Mr. Martin for the reasons mentioned above, Miss Amy just simply for her sweet spirit, especially after all she’d endured. Question #7: What was your reaction to Amy Merryweather’s red yarn as a symbol of our life to come? (As a reminder, she said, “Don’t hold on to the knots and forget the life ahead.”) Have you had to get past knots in your own life? I thought it was an excellent analogy! We sometimes get so caught up in the little “knots” of life that we lose sight of the big picture! I have definitely experienced this in my own life…not getting wrapped up in the” knots” of everyday life is a constant challenge for me. Question #9: Go back and read the first two words and the last two words of the book. Any thoughts on why the author may have chosen them? Mariah thought her life (as she knew it at least) and her chance for love were over. Throughout the story, she gradually realized that by the grace of God it was just beginning! I really enjoyed The Girl in the Gatehouse and I’m looking forward to hearing others’ thoughts! If you’ve read it, what are your impressions? I loved Martin too! I'm glad he got his own happy ending in this story.The Merryweather sisters surprised me. It surprised me that the one with the secret wasn't the one we thought it was at first. I ended up loving Martin too; his outer appearance was not to Mariah's taste (nor mine) but his inner character shone through and I just really liked him. Very nice review! And I loved the way you summed up your liking for Martin. He grew on me too! Martin was my favorite character and I am so glad Dixon chose him. I guessed that Amy would be the one with the shady past — but was pleased at how she managed to have the best attitude of the bunch. She really relied on God and His promises. It's unanimous–I adored Martin! But it was a tough choice to put him first since the other characters were so endearing. Great job with your review, Kara! I haven't read it, but you sure have made me want to! Great review. I had mixed feelings about this book. There were some very funny sections, interesting quotes and I liked the ending but for the most part it just dragged along for me. I had a bit of a hard time getting into this book but once I did, I enjoyed it! I felt like there were a lot of names at times, making it hard for me to remember who everyone was but it didn't take away from the story. This was a longer book than most (391 pages) so it gave me the time I needed to get to know the characters and get into it before reaching that point only to have the story almost finished. Very enjoyable, good plot and very interesting characters and events. I had never read Julie Klassen before, but have put her on my list of authors whose previous books I will sample and will look for in the future.